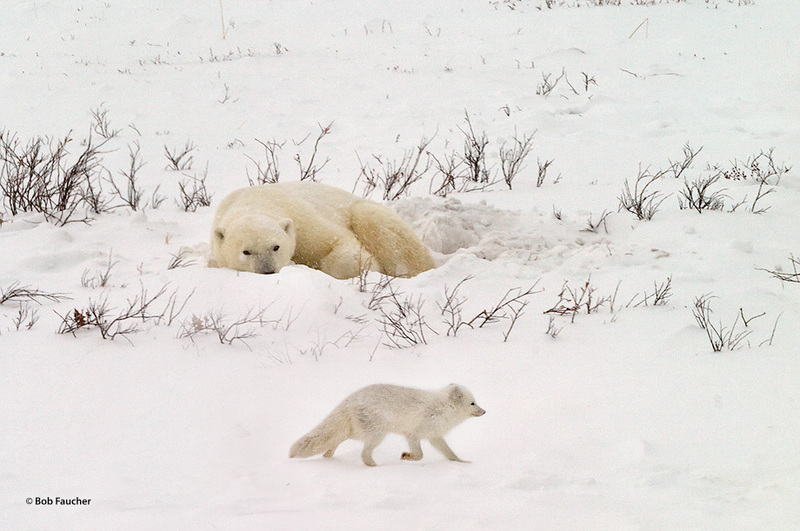 Resting polar bear watches as a brazen Arctic Fox nonchalantly saunters past him. The bear has obviously determined that the energy required to catch the fox is not worth the energy such a small morsel would provide. Photo © copyright by Robert Faucher.